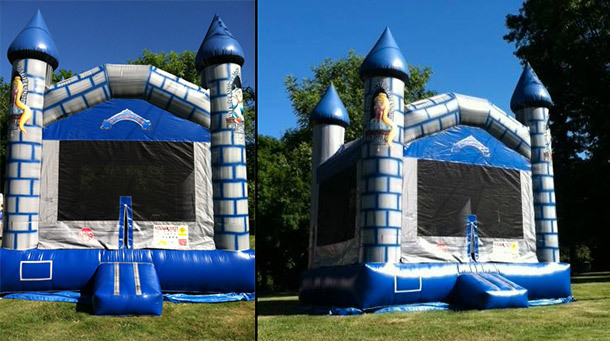 The kids will have a great time Bouncing in our 15×15 bounce house Castle. This particular bounce house requires a minimum 20 x 20 foot clear area for set up. The height clearance for this unit is 20' high.